Effective help for Irritable Bowel Syndrome - Cara Ostryn BSc. Help for Irritable Bowel Syndrome in Rickmansworth and Aylesbury Clinics. Welcoming enquiries from nearby Hillingdon, Pinner, Northwood, Uxbridge, Stanmore and Edgware. Irritable bowel syndrome is now one of the most common problems of the digestive system: it is estimated that up to one in five people in the UK have occasional symptoms. It causes pain in the abdomen and an altered bowel habit. Although IBS poses no serious threat to health, it can have an adverse effect on a person’s quality of life. There are different types of IBS, depending on your main symptom. It is known by a variety of other names, including spastic colon, spastic colitis, mucous colitis, nervous diarrhoea, nervous colon and nervous bowel. IBS is twice as common in women as it is in men. I went to Cara for a consultation and felt she could help me overcoming my longstanding problem with IBS. I couldn’t believe I had been viewing myself so negatively. After my six sessions with Cara…My IBS is much improved and I feel confident that with my internal locus of control being so much stronger I can only go on improving. How you think and feel can have an important effect on your body. The mind and the body are inextricably linked. Psychological factors play a big role in triggering IBS and symptoms are almost always worse when you are under stress. When you are feeling stressed or depressed your body undergoes changes and these changes can affect how your digestive system works, making the symptoms of IBS worse. Additionally, the fear and potential embarrassment of having IBS symptoms around others can add to your stress levels, compounding the problem further. If you have IBS, this programme is all about YOU! This is a unique and highly effective training course where you will learn how to understand and take control of the thoughts, beliefs, emotions and worries that maintain this problem. Thrive it is an empowering and liberating psychological training programme which, with your input, will allow you to overcome IBS, significantly reduce stress and feel more in control. You’ll find that its much simpler and faster than you may have ever believed to take control and get the life you want! NOTE: If you are suffering from IBS symptoms, it is advisable that you first seek guidance from your GP in investigating your symptoms. Help for Irritable Bowel Syndrome at the Rickmansworth and Aylesbury Thrive clinics. 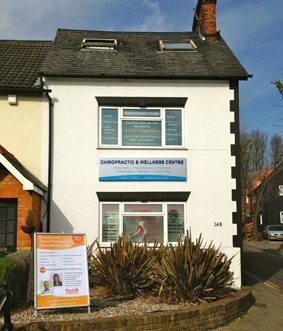 The clinic serves the following areas in London: Hillingdon, Pinner, Northwood, Uxbridge, Stanmore and Edgware.